Create a striking canvas with wings! 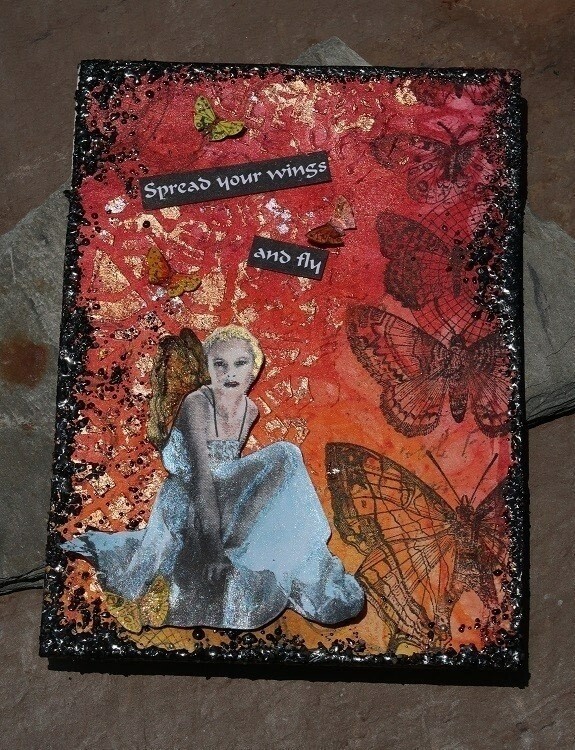 Let's create a mixed media canvas with loads of fun mediums, stamps and some really cool texture to boot! 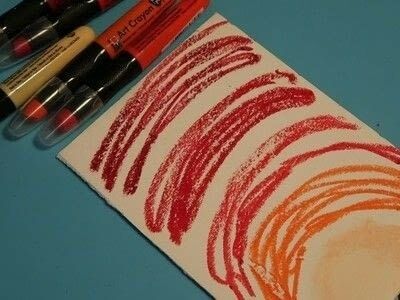 Scribble several colors of Marabu Art Crayon onto the canvas board in an arch pattern. 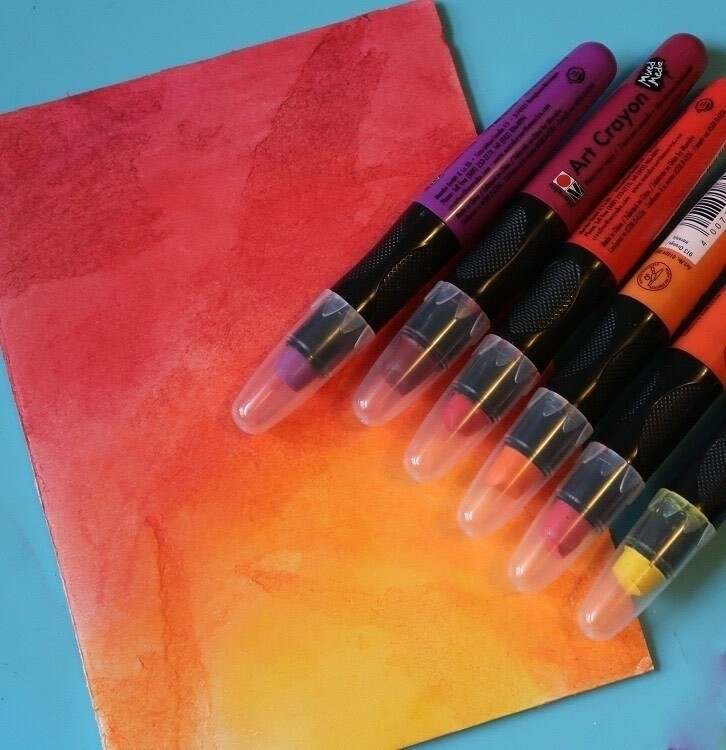 Use a sponge dauber to blend the colors together working from lightest to darkest. You can work in more color until you are satisfied with the results. 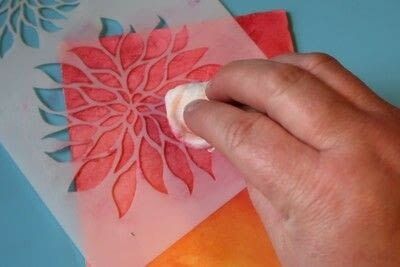 Position a stencil over the canvas; use a damp cotton ball to remove some of the color. Repeat as desired over the canvas. Stamp various design over the canvas with VersaFine Clair inks. Spread Creative Medium over areas of the canvas through a stencil. 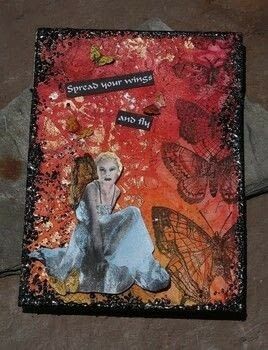 Let the Creative Medium dry until it is tacky then sprinkle Sepp Leafing Flakes over the medium. Use a paintbrush to gently press the flakes onto the Creative Medium then brush off the excess flakes. Stamp angel image onto a scrap of white cardstock using VersaFine Clair Nocturne ink. 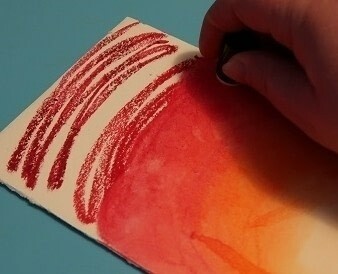 Watercolor the image with a combination of regular and mica watercolor paints. 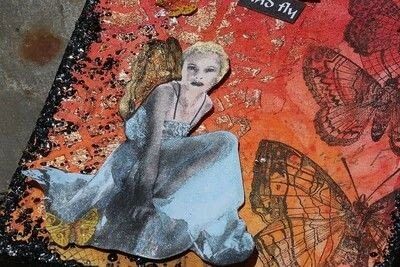 Once the image is dry, fussy cut and use foam tape to affix the image to the canvas. 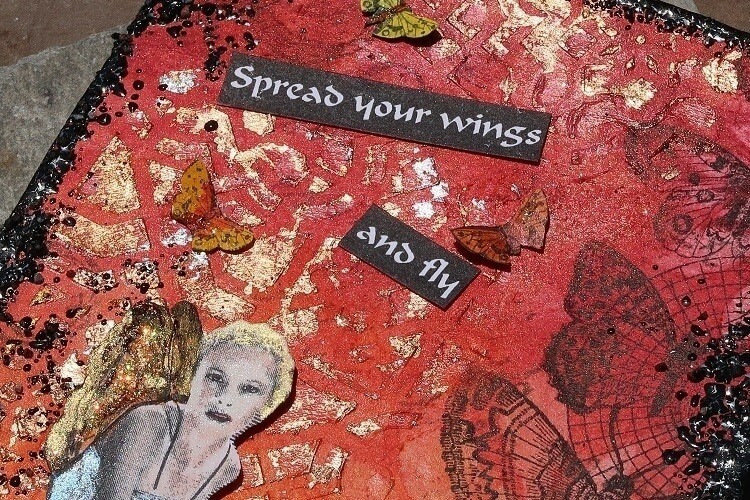 Stamp butterflies and sentiment again using the Nocturne ink. 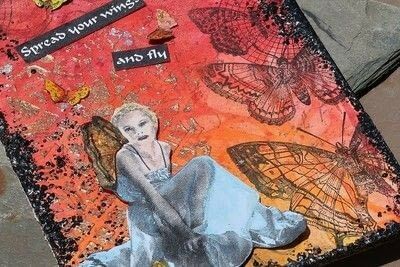 Color the butterflies as desired, trim and mount on the canvas. Rub the edges of the canvas with VersaMark ink; sprinkle Seth Apter's Rocky Road embossing powder over the inked areas and heat until desired consistency* is reached. *Note - Seth Apter's Rocky Road embossing powder is very chunky so it can be heated to varying degrees of melt. 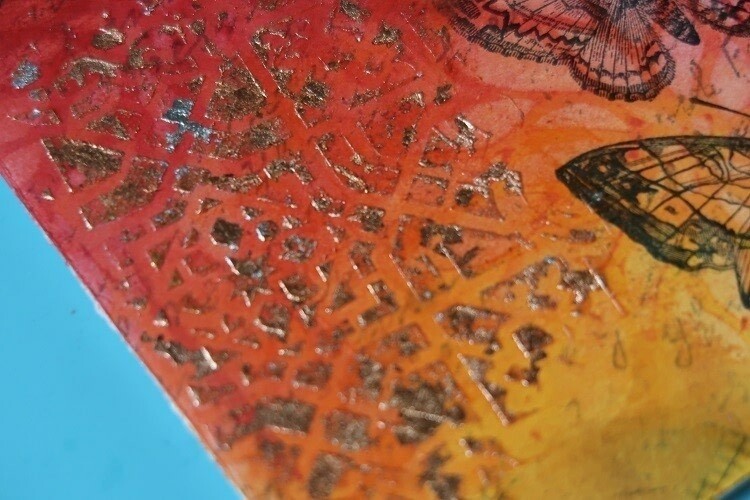 You can heat it just a little to keep the rough, chunky look or continue to melt it until it creates a thick, smooth layer of embossing. It is totally up to you and the look you want to create. 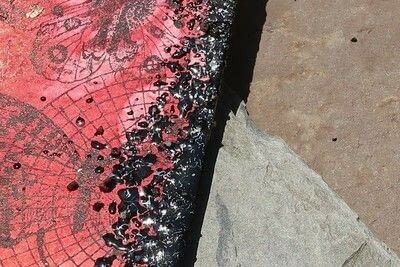 Add a hanger to the back of the canvas and enjoy!